As the hosts of India’s Biggest Competition, we understand that becoming a good trader or investor is a series of lessons that participants need to learn in order to not only be profitable in the market, but do so day-in, day-out, and year after year, in any type of market, whether it be a bullish, bearish or sideways. At the Indian Trading League, we have studied some of the best traders & investors across the world and our very own ITL Winners and recognised what makes them great. We have distilled them and simplified their core trading rules and are proud to introduce to you, the Indian Trading League Medals. For the first time ANYWHERE in the world, we will reward you for implementing these lessons while trading & investing. How? With the ITL Medals Program! Online share trading in India can be a very complex and at the same time an expensive proposition for market participants. 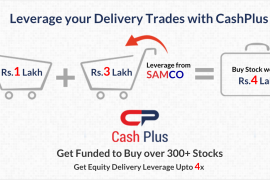 At SAMCO and the Indian Trading League, we have a constant endeavour to enhance the online trading experience and that too at a low cost discount broking model. 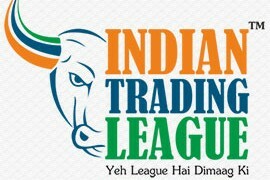 The Indian Trading League Medals program combines adds a superior trading experience to the multi-platform trading access + low cost discount broking model. All traders know great trading adages/sayings such as Cut Your losses quickly & let your profits run. All investors know about diversification & yet very few actually do so! Why is there such a large disconnect & why do traders lose money even if they know these adages? Let’s take an illustration: A trader believes that the Index will rally 200-300 points in the future & takes long positions in the futures market as such. But contrary to his expectations, the market DOES not rally and falls instead. As such, new traders fall for the illusion of “hope” and do not cut the loss, but to keeping in mind the ITL Medal – Smart Stopper, a smart trader would remember to cut the losses QUICKLY, thereby controlling the emotions which could result in complete destruction of capital. There is no one to reinforce such basic trading rules even when all the participants know them! The emotions of greed & fear take over and in all the excitement, participants forget to implement good trading techniques. With ITL Medals, implementing proper strategies will be rewarded. We have designed every medal keeping in mind sound trading practices and as you achieve more of them you will become a better trader. There are not only rewards for proper strategies but also penalties in case participants make errors. Trading & investing is an art, and like any art, it takes practise to perfect. Earning these medals will lead to better trading techniques by ALL participants. Not all medals are created equal! Some trading techniques deserve more praise than others. Bronze Medals: Achieve these medals by understanding and implementing proper trading techniques. Silver Medals: Achieving these medals will help you understand the intricacies of trading & investing. Gold Medals: These medals are reserved for the elite! Achieving even one is a difficult task. Yellow Cards: At times, traders make silly mistakes. The Yellow Card is a way to remind you NOT to make silly mistakes. Red Cards: These are the Laxman Rekha’s of trading. You should NEVER cross them as the market can impose VERY HARSH PENALTIES. There are a total of 70 Medals and Penalties up for grabs! To know how to get any of the medals, simply click on view details. With the ITL Medals, we want to award even your tiniest trading move! All of our medals are designed keeping in mind the best trading practises of Trading Legends. We are sure that attaining these medals will make you a much better trader, while reaffirming the basics! And the ITL will reward you for good trading! It does not get better this! 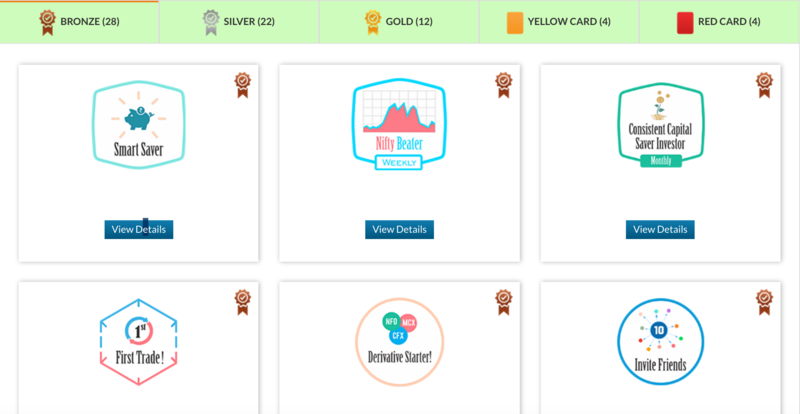 The goal for every trader and investor needs to be to consistently improve and accumulate as many medals as they can and at the same time, avoid the red cards and the yellow cards. As traders accumulate medals, they will level up gradually from Level 1 to Level 5 with level 5 being the ultimate level and the reward being FREE TRADING FOR THE FULL YEAR. To refer to the various levels and the rules of the medals program, click here. Before the Launch of Season 2, we promised you’ll that Season 2 will have something in it for everyone. And we’ve kept our promise with the ITL Medals. We wish every trader and investor Good Luck and hope they can Level up to being a Master trader with the ITL Medals.